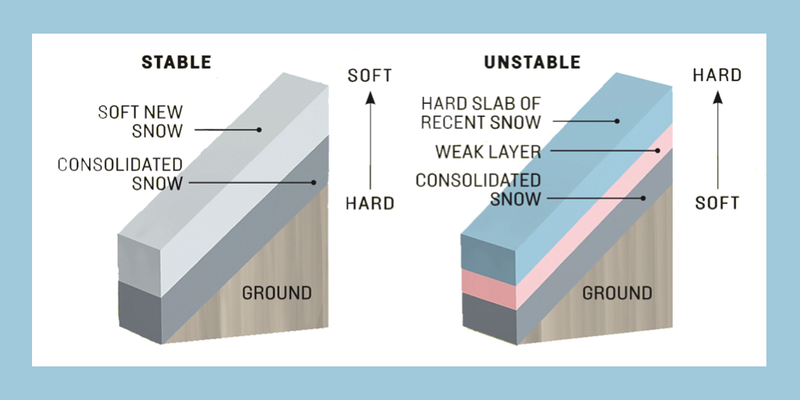 How do we decide if it is safe to ski? There was a big avalanche between Creblet and Col des Mines today. by Mike Braun Federal Qualified Instructor. The recent mix of heavy snowfall, rain, warm and cold temperatures has created a quite settled and favourable snowpack. However.. it is still advisable to be very cautious even if the Avalanche risk is set currently to Level 2. On the East, South and West slopes up to 2600 meters you can find a layer of crust as a result of the rain and sun. We then had some snowfall arriving at very low temperatures and around 5 cm of very cold powder snow. Then in addition we have received over the last few days around 35 cm of new snow. The weak layers mentioned above have led to some avalanches being set off even on gentle slopes in Savoleyres it was possible to see some slab avalanches. We have Avalanche risk 2 and I wonder if this is enough. The fresh snow drifts can be triggered on East to North and West facing slopes. The risk starts more around 2000m and with altitude the danger will increase; be very careful as the new snow has not yet bonded with the old snow pack. Steep gullies, bowls and changes in the terrain carrying the biggest risk. 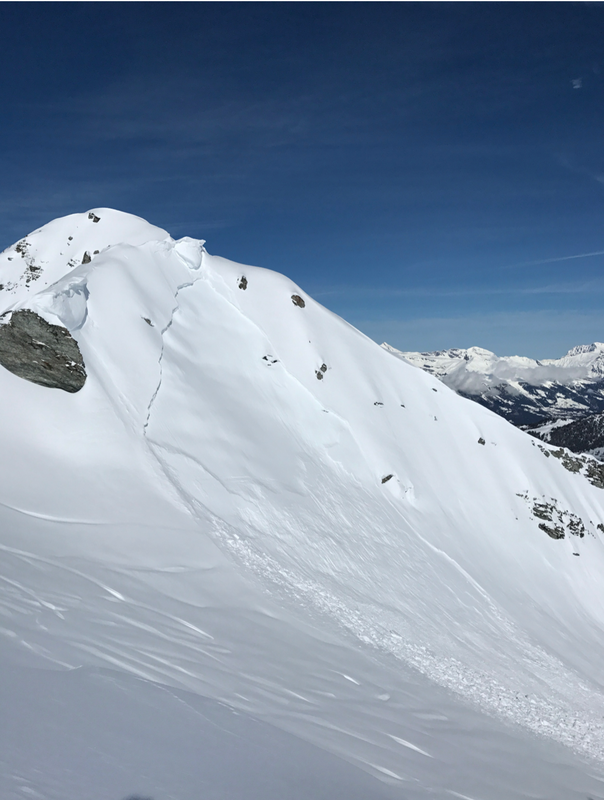 Last week there were also two avalanches on Tete la Payanne. In the above photo you can see some ski tracks right next to the avalanche! The depth of the avalanche wall is around 40 cm and it has about a 200 meter rollout. 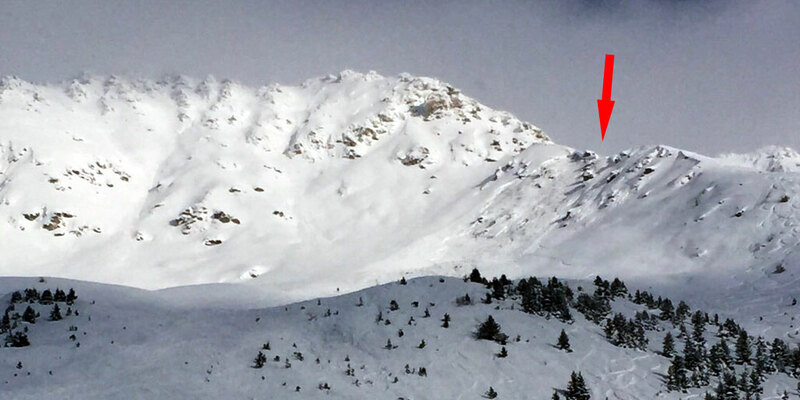 Apparently the way out of this avalanche was by Helicopter and with a broken leg… I would say still very lucky as if you look at the terrain, he could have been buried very deep. Stay safe, and make sure you are prepared when going skiing off-piste. Even when the avalanche risk is low we still need to be very vigilant.